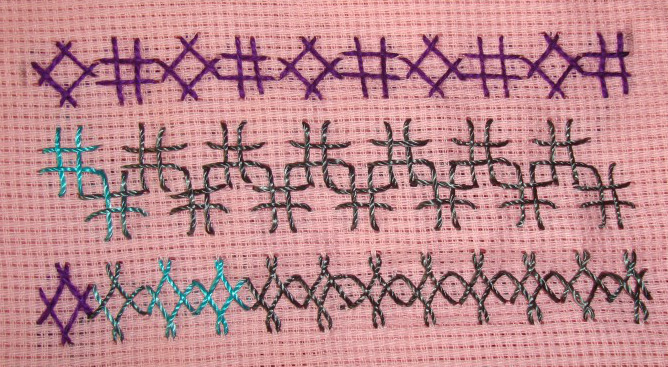 This is another modification of squre herringbone stitch and is part of this week’s TAST 2013 challenge by SharonB. 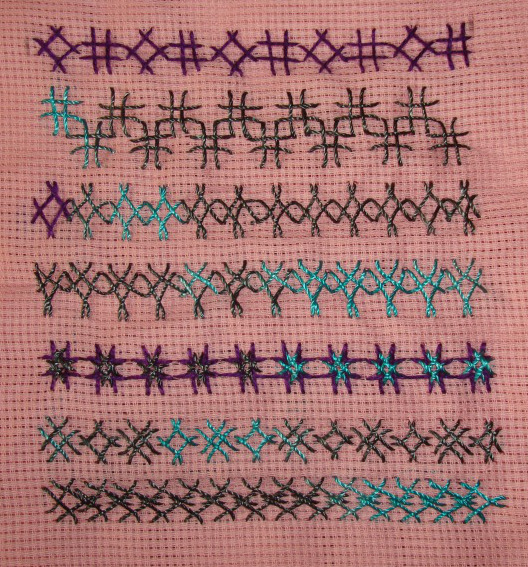 After working square herringbone sampler, I did not enough energy to work this sampler. 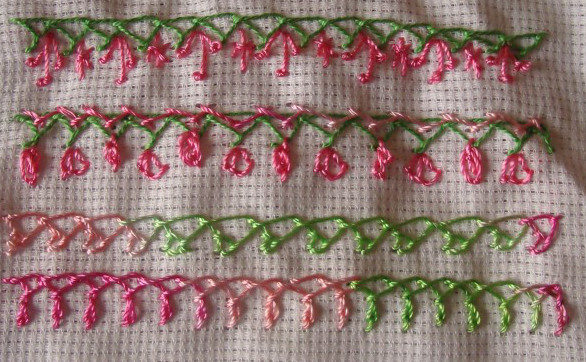 The treatment with other stitches was already done, so I tried varying the basic square herringbone and the lacing in these samples. 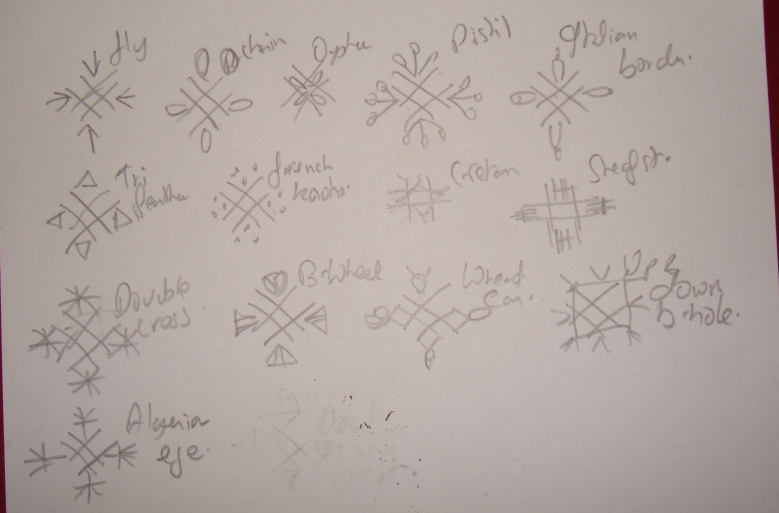 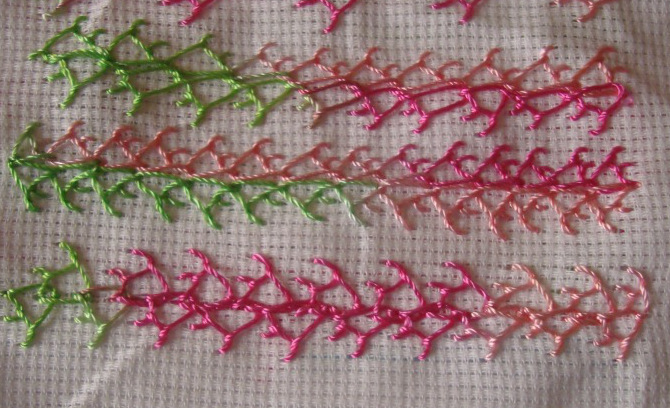 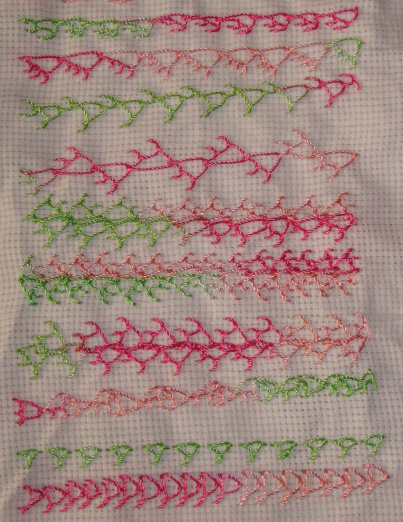 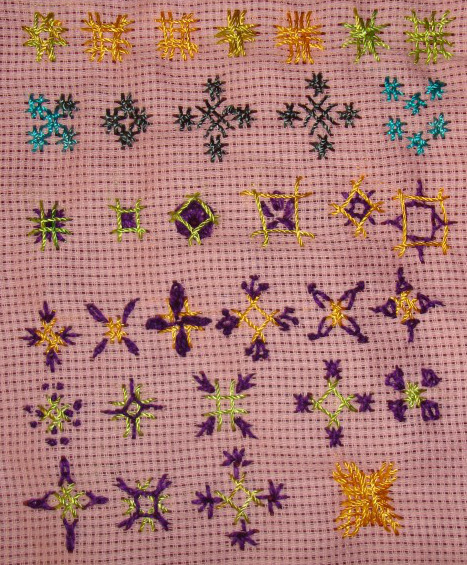 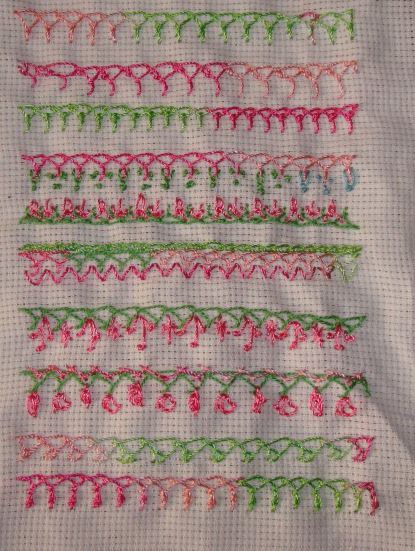 on one sample, I worked interlaced stitch.